Handsome men with handsome attitudes. A few days after Bea Alonzo and Liza Soberano's bloggers conference, Star Cinema's She's The One creative team headed by Ms. Vanessa Valdez, Anton Sta. Maria, Melai Monge and Direk Mae Cruz brought the leading men Enrique Gil and Dingdong Dantes to bloggers at Wangfu Tomas Morato, Quezon City last Monday. 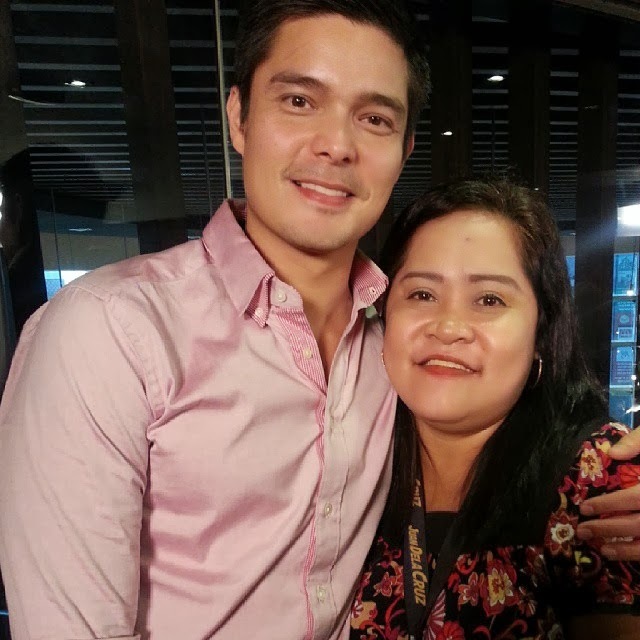 Dingdong Dantes on his third film at Star Cinema was early and excited joining the entertainment bloggers for an afternoon of love, romance and second chances bloggers conference along with Enrique Gil. Although he seemed too tired with obvious lack of sleep mood, Dingdong Dantes was as professional and passionate like Enrique Gil who seemed to have never had any moment of anxiety despite the busy schedule promoting their romance drama flick under Star Cinema. 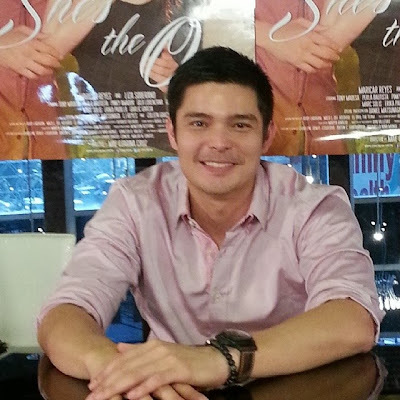 Dingdong was grateful for the recognition and reminisced all his youth discussing how Enrique Gil was like during the shooting of this significant romantic film. He was as debonair as he was since I last met him at TikTik: The Aswang Chronicles press conference. 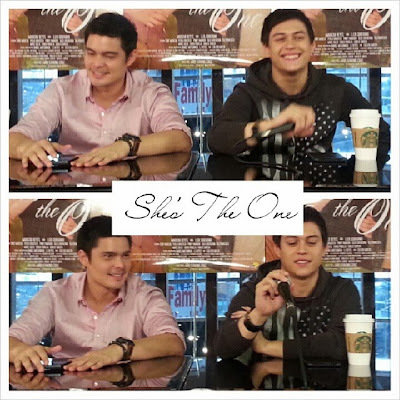 According to Dingdong, he thought of Enrique Gil the moment he knew about the story concept for the movie and he was so glad to realize that his thoughts were realized when Enrique Gil was personally chosen to play the role against him at She's The One. He also shared to us that he wants to be confident saying he has found The One being engaged to Marian Rivera. Enrique Gil said that he is still searching for the one although Ms. Vanessa Valdez gave hints at his sweetness with co-star Liza Soberano since the making of the film. Enrique stressed he's looking for a woman who's "malambing" (affectionate) regardless of age. Dingdong once again recalled his youth saying he reflected on the things he missed and may have overlooked acknowledging Enrique Gil's passion and pleasure in every endeavor as an actor. He was grateful to have worked with Enrique Gil and shared his reflections observing the passion and energy of Enrique Gil. Discussing the movie, Ms. Vanessa Valdez and Direk Mae Cruz gave hints at the last scene which they paid gratitude to Dingdong Dantes for having executed the role the way they imagined. I'm so excited to watch She's The One also starring Bea Alonzo, Liza Soberano, Maricar Reyes, Tony Mabesa, Perla Bautista, Pinky Amador, Guji Lorenzana, RS Francisco, Marc Solis, Erika Padilla, Garlic Garcia, Coleen Garcia, Daniel Matsunaga, LJ Moreno and Kerwin Garcia. Star Cinema's She's The One is now showing at more than 120 cinemas nationwide. For more information, visit www.starcinema.com.ph and follow @StarCinema on Twitter and Instagram.